So I doodled a bit (drawing’s not my strong suit, as evident above!) and came up with something that I liked. Originally I thought to incorporate some kind of a bookshelf to act as a rail so I wouldn’t fall from the bed, but pretty soon I realised this wasn’t going to be necessary. 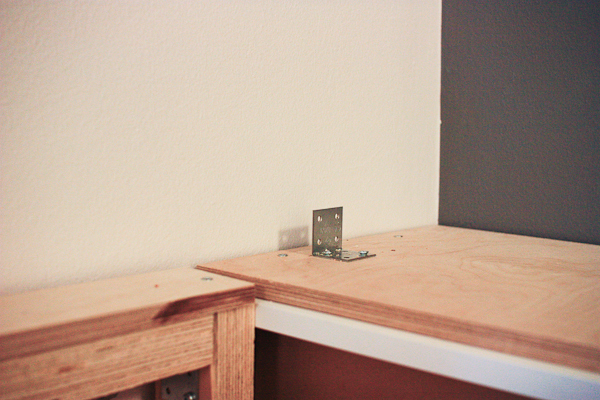 I haven’t fallen from my bed since I was 4 or something… It also looked nicer without the railing. 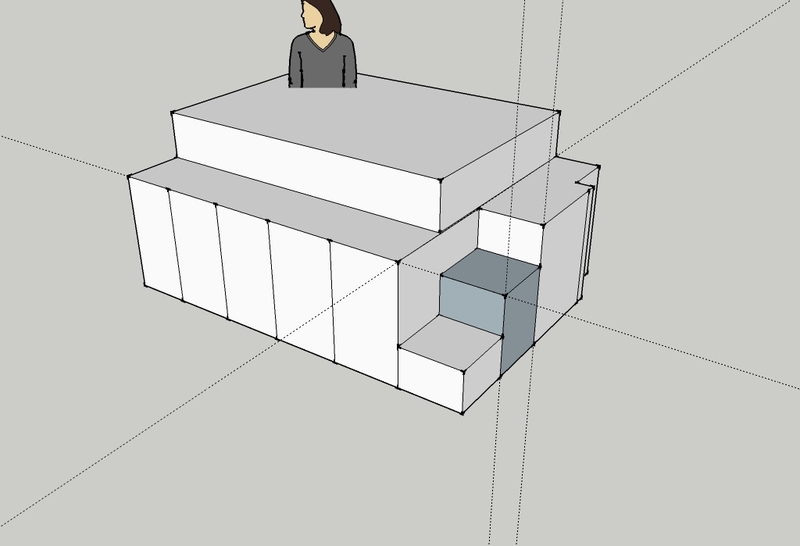 Then I sketched it up with the measurements I knew I would work with. 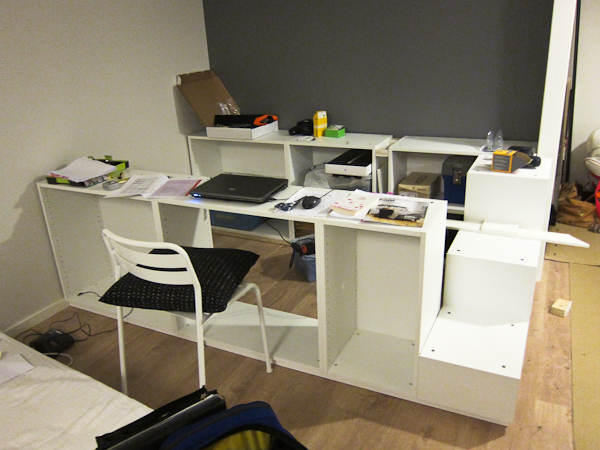 I had already decided to build the base out of Ikea kitchen cabinets and doors. I’ve seen a lot of raised beds in Ikea Hackers and elsewhere in the net, and the cabinet versions seemed to end up looking the nicest. 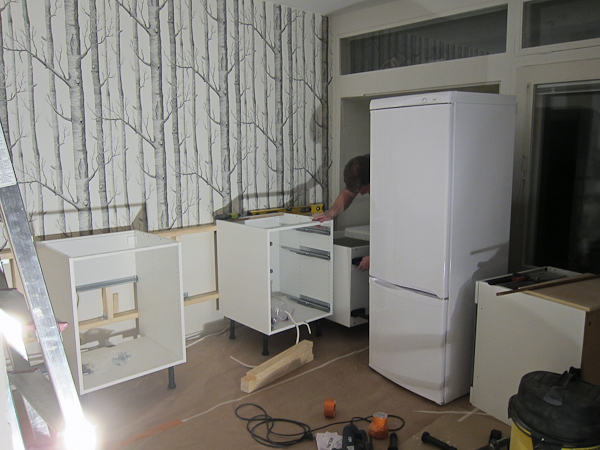 They also played together with my new kitchen, helping to make the small space coherent and calm. Altogether there’s nine cabinets. Four 80 cm wide ones: 2 in the front and 2 in the back. 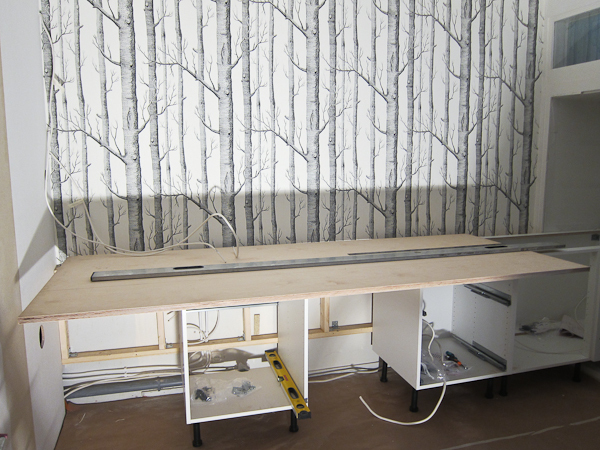 There’s one 60 cm wide cabinet on the back, since the back wall is 230 cm and 60 cm was the widest that would fit. 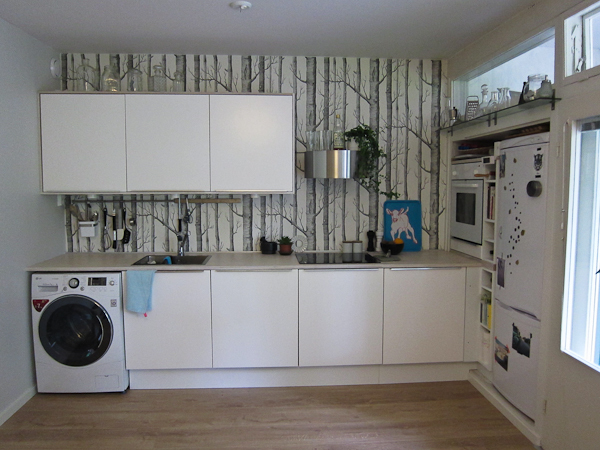 And then there’s four 40 cm wide cabinets: one in the front and three in the end. 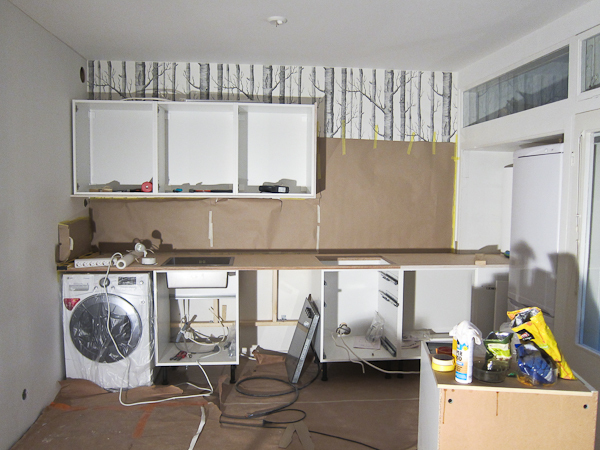 All of the cabinets rest on a simple wooden footing on the floor, but nothing is attached to the floor or the walls. The weight of the unit with the bed on top is plenty enough to keep it in place. I put loads of big felt pads under the footing to keep it from scratching the floor, in case I want to sell the place later. I’m not sure those are necessary, but they’re there now… I even remembered to paint the lumber footing before laying it on the floor, so I didn’t have to paint it in the spot! 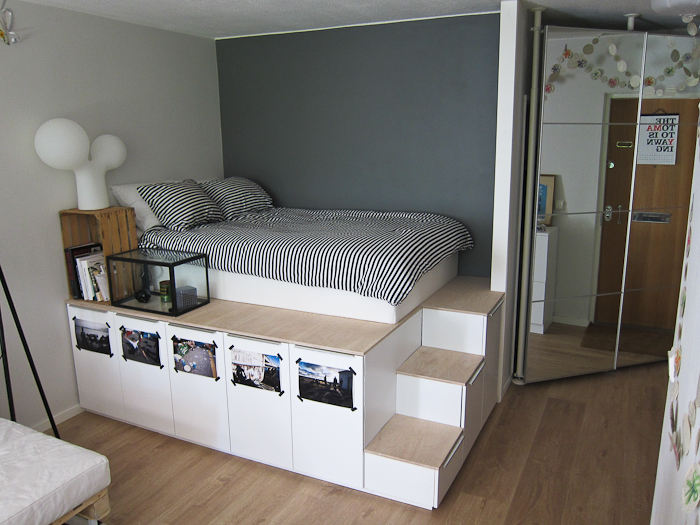 My bed is a box spring -type bed (the kinda mattress with a built-in wooden frame, they don’t seem to sell the exact same type at least in the States) from Ikea and I attached it to the cabinets and the plywood with L-brackets. 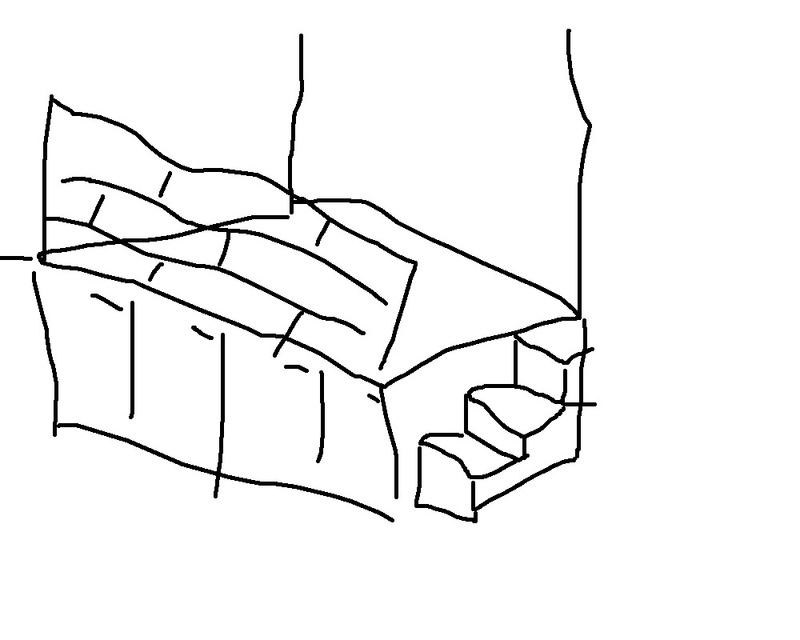 That way I didn’t need to build a “roof” to my storage space: the mattress forms the roof. I just made sure to measure the base so that the mattress covers the opening! 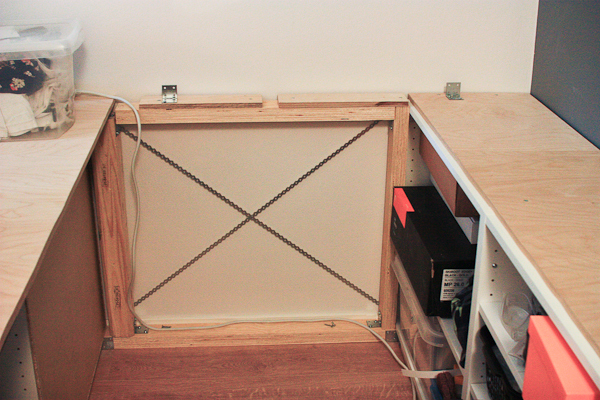 Basically, I just sawed the sides of one 40 cm wide cabinet into two and drilled new holes to correspond to the required bits to assemble the cabinets. To someone with a bit of DIY experience it was pretty straightforward and easily figurable just by looking at the parts and how they were supposed to fit together. Of course I needed 2 cabinets for the hack (to have enough top and bottom parts), but I didn’t need to use the sides of the other cabinet. I also got around with just 1 door for these shorter ones! 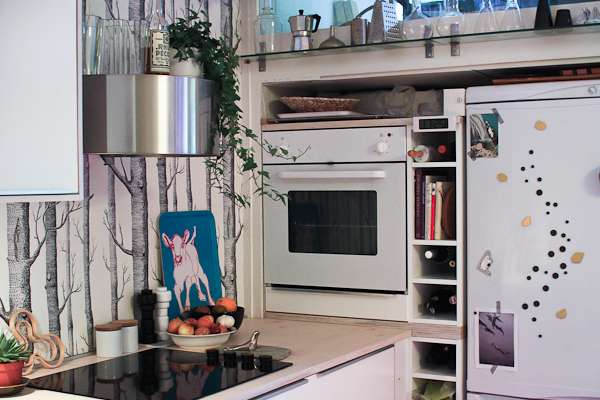 I left the 80 cm wide middle cabinet open (no backing!) to form a doorway into my storage space. To keep it looking uniform I only used the 40 cm wide doors. 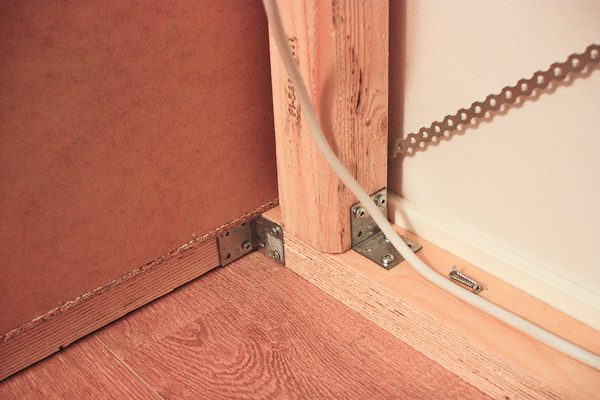 Most of the plywood is attached with screws from underneath, but the smallest step was so low that it was easier to glue the cover piece on it. Oh, and then I put some thick cardboard covered with DC Fix (a semi-permanent plastic film/tape) over the end piece on top of the steps, to cover the hole there and make it look nice. That’s just attached with double sided tape and seems to be holding up fine. 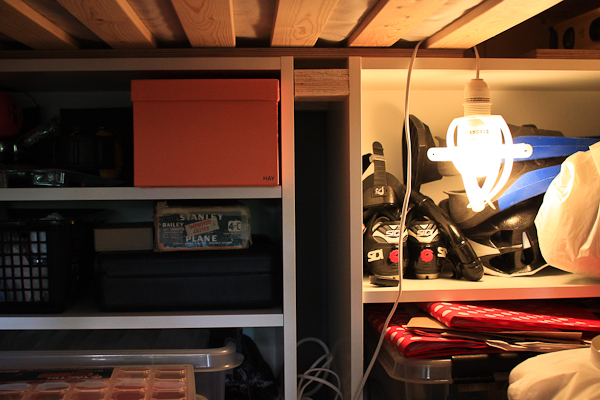 And I even have a light under there, to make it easier to rummage for what I need… I think it turned out pretty nifty, and it’s definitely great to have so much storage! It makes me happy just looking at it – there’s nothing quite like the feeling of a job well done!